The dueling effects of both the shutdown and the new tax law have hit tax filing season hard this year, as new IRS data shows a drop in refunds processed and, most critically, a lower average refund. The effect of the partial government shutdown — which may end up being the first shutdown of the year if a deal cannot be reached by Feb. 15 — is only temporary, as returns will eventually be processed. Analyst reports from DataTrek, Goldman Sachs, and others note the IRS’s change in processed returns vs. this time last year, a 25.8% drop in refunds processed by Feb. 1, 2019. It’s not just the slowdown in government work: People are sending in refunds later. 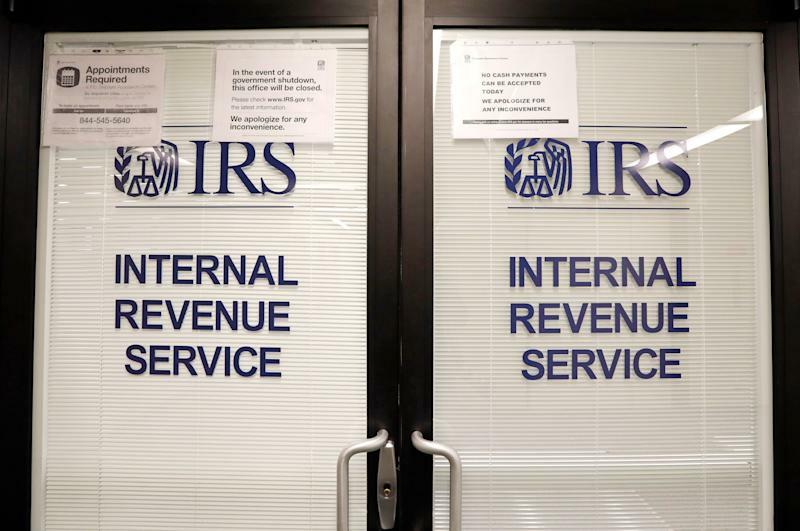 The number received by February was down 12.4% over 2018, according to IRS data. The biggest question this tax season is how exactly the tax bill has affected everybody. Thanks to lower tax rates and a higher standard deduction, many people expected “ historic TAX CUTS ,” promised by President Trump. But this may not be the case, mainly because the Tax Cut and Jobs Act limited deductions for state and local taxes (known as SALT). But some people may not have changed their withholding to account for these changes , which DataTrek says could be in the millions. On top of that, withholding tables that the IRS provides to help people withhold enough so they are not saddled with a tax bill in the spring may not have been aggressive enough, which could provide another tax surprise, even if it doesn’t affect the final number. It’s still too early to tell whether the withholding was a problem. More than 35% of all tax returns processed so far had resulted in a refund this year. At this time last year, it was 34.4% — essentially the same. Since more complicated taxes take longer, many of the questions economists, accountants, and taxpayers want answered will emerge over the coming weeks as returns trickle in and refunds — and bills — trickle out. DataTrek analysts’ best guess is an average refund that’s similar to the recent norm of around $2,700. But because of the changes, higher-income taxpayers and those in states with higher state and local taxes (mostly on the coasts) will likely write bigger checks to the IRS. While surveys generally show people spend tax refunds on paying down debt or making a big purchase, Datatrek warns that these numbers could affect retail and other discretionary spending in states with higher state and local taxes. This could change the timing as well, Goldman Sachs analysts noted, as refunds may not have their traditional February bump, instead hitting bank accounts — and then stores — in March.